Driving Highway 1 along the Mendocino coast is a scenic adventure that draws thousands of visitors every year. Following the coast from Gualala on the south to Needle Rock in the north can be a challenge and features back-road driving. But imagine 100 years ago. Were there roads then too? How did people move along the coast? And what were they doing? Why did they settle here? Forget the Gold Rush and the forty-niners timber was king here. Logging, milling, and shipping wood was the focus of the economy. 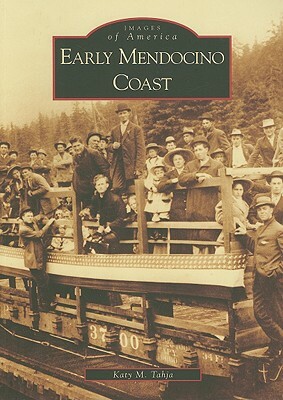 Railcars steamed through the forests, and ships pulled up to rickety landings to load shipments for faraway places. Today some coast views remain the same, while others have changed dramatically, and whole towns have vanished over the century.